Home » Happening Now » Do you use Google Reader? 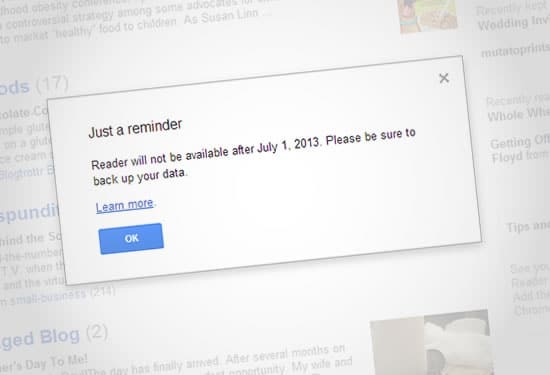 If you use Google Reader, you’re probably already aware that they’re shutting it down on July 1. That’s this coming Monday! 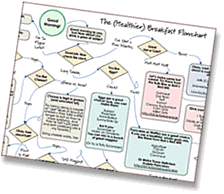 This is by far the best choice – you’ll never miss a new post again! It’s super-easy, and I promise not to spam you. In the pop-up window, enter the CAPTCHA to prove you’re not a robot. Check your inbox for a confirmation email. You must click the link in that email to activate your subscription. Although this may not be the most reliable way to get new post notifications, it is a great way to be a part of the Eating Rules community. See you there, and thanks!